Is it Legal to Carry a Taser in Nevada? A stun gun, commonly referred to as a taser, is basically any device that is designed to temporarily or permanently disable a person or animal by way of an electrical charge or current that is discharged at the target. Is it legal to carry a taser in Nevada? Like many answers to a legal question, it depends. An individual who has been committed to any mental health facility. In addition to the above restrictions, it is also illegal to sell, give, or provide a taser to any of the individuals listed above if you know about the individual’s past. Officers of the Peace are exempt from the law’s limitation on tasers. Nevada also prohibits a minor’s possession of a taser. Specifically, a person under the age of 18 may not possess a stun gun and it is illegal for an adult to sell or provide a minor with one. If a minor is found in possession of a taser, he or she may be detained as if an adult felon. Nevada law prohibits the use of a taser on another individual for any purpose other than self-defense. The state feels so strong about this that it makes the act a category B felony. A person convicted of using a taser for purposes other than self-defense may incur a monetary fine of up to $5,000.00 and face between one and six years in prison, or both. It is also a category B felony for a convicted felon or fugitive from the law to possess a taser. A conviction for this crime carries the same potential monetary penalties and imprisonment as the above category B felony. A person who has been committed to any mental health facility, has been adjudicated as mentally ill, or is unlawfully or illegally in the United States and is found to possess a taser will be charged with a category D felony. A person convicted of this crime may incur a monetary fine of up to $5,000.00 and face between one and four years in prison, or both. Likewise, someone who sells, gives, or provides a taser to an individual who cannot legally possess one under Nevada law can be charged with a category D felony. A conviction for this crime carries the same potential monetary penalties and imprisonment as the above category D felony. In summary, it is legal to have a taser in Nevada but not if you fall into one of the exceptions to this rule. Moreover, if you use a taser for any other purpose than self-defense you are breaking the law. 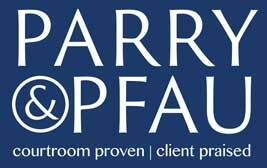 If you have more questions about this, or any other area of the law, contact the experienced Nevada attorneys at Parry & Pfau by clicking here today.